The artists’ first encounter with oil painting will be presented with a vast array of oil pigments in art shops. Many blues, browns and reds could cause confusion on which oil pigment to choose for painting. The cost of art materials will also influence the number of oil tubes to purchase. Which are the best oil colors to buy and how does each oil color differ regarding color temperature, coverage and intensity? A walk into the art shop will educate the artist on the number of art pigments available in the art shop. For instance, in regards to blue, the following can be found: French ultramarine, cerulean, Prussian blue, Monestrial blue, Pthalo blue, cobalt blue and more. The same applies to reds, greens, yellows and browns. I avoid packaged sets of oil colors, which do not work out cheap in the long run, as unnecessary hues are often included (and often the omission of an essential color). I will purchase the tubes separately, creating an essential collection of oil colors that will be used. 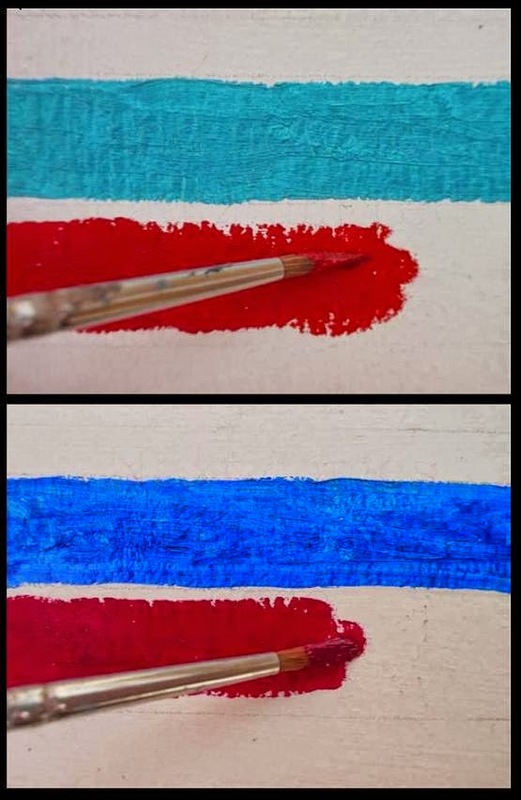 Most artists will use just a dozen or so oil paints (as do I) which includes a warm and cool version of the primary colors (red, yellow and blue) as well as earth colors, a few extras and white. 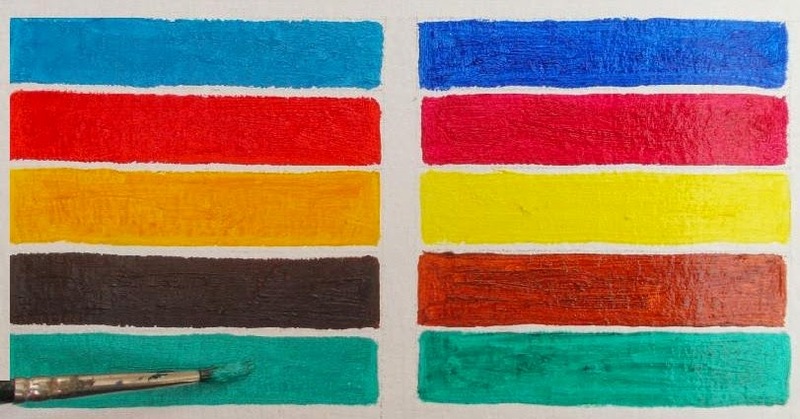 I find the following oil pigments will mix just about any color needed for painting: Titanium white, French ultramarine, Pthalo blue, permanent rose, cadmium red, lemon yellow, cadmium yellow (pale), burnt sienna and burnt umber. The following are also useful extras: cerulean blue, viridian and alizarin crimson (an old favorite). A good way of learning about the nature of each pigment is to apply each alone on a primed piece of card. The video clip informs on how each oil color differs in translucency and color temperature (how warm or cool it appears). Nothing quite equals trying out each color for yourself as opposed to reading about them, but basically, each color will have its own intensity, opacity, temperature and translucency. Find a YouTube clip on how I applied each oil pigment neat onto white card. 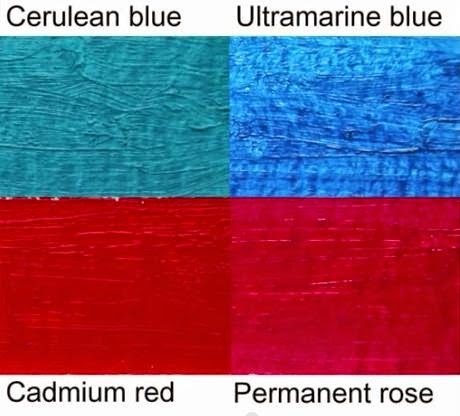 French ultramarine is quite a translucent color, not having the opacity of cerulean or cobalt. Pthalo blue is also quite translucent. Both require a little titanium to add coverage, but the addition of white will change the nature of the blue a little, killing its sparkle. The close up image shows translucent and opaque blues and reds. See how the translucent paint allows a little of the white gesso to show through, leaving a patchy feel to the paint layer. 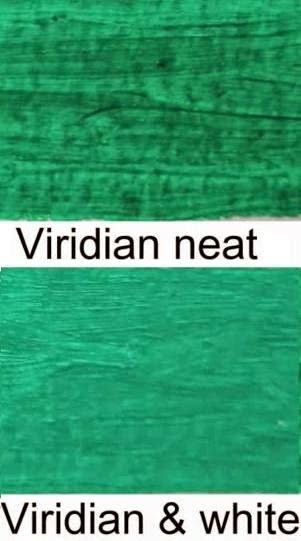 This can be seen with viridian, which is also a transparent color. I applied it neat, and then with a little titanium white. 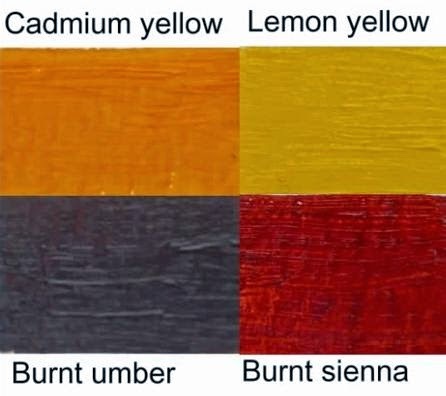 Again, we can see here that lemon yellow and burnt sienna are rather translucent, where as cadmium yellow and burnt umber has more coverage. Translucent colors when applied over a white surface will appear vibrant. Opaque colors has good coverage but lacks this vibrancy. How warm or cool does the color appear? This is known as colour temperature. A warm color will be bias towards red, a cool colour will be bias towards blue. French ultramarine has a violet cast, meaning it has a warm colour temperature. Cerulean blue and Pthalo blue appears cooler. Cerulean has a slightly greenish tinge. Again, cadmium red has an orange-glow, giving it a warm cast. Permanent rose and alizarin crimson are cooler reds, having a violet cast. Similarly, burnt sienna is a warm, toasty brown; burnt umber is cooler. Titanium white: a brilliant, opaque white. Will add opacity to any pigment it is mixed with. Yeah I know that oil painting is a beautiful art type and it is quite popular too. I am studying in University of Art and culture and we are working on one of the oldest and most famous Aboriginal Art work. I just love the history of this artwork. What are your favorite guys? really like to read this something different post, thanks for sharing with us. Your style is so exclusive compared to other individuals. Thank you for posting when you have the chance, guess I would just make this bookmarked.